The Professional Pilot Program "H" will allow the student to qualify as a Helicopter Instrument Rated Commercial Pilot with Certified Flight Instructor and Certified Flight Instructor Instrument qualifications. 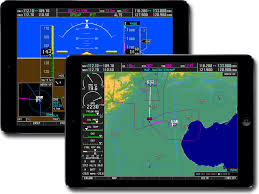 This allows graduates to accumulate industry experience as flight instructors in order to achieve the flight hours usually required to be hired by an airline or other types of air operators. Working as a helicopter pilot can take graduates into many different industries all over the world. Helicopter pilot opportunities include training student pilots, offshore support, firefighting, law enforcement, agriculture, pipeline and utility support, sightseeing, executive transport, fishing, Emergency Medical Services, search and rescue, logging, test piloting, and more. It is a rewarding and satisfying career path. This program is a total instructional grouping of programs for students with no flight experience. If the student already holds a private pilot certificate or has other flight experience, appropriate credit may be awarded, which will serve to reduce required hours and costs. This program is based on the minimum time requirements of Federal Aviation Regulations. Time and hours over and above these minimums will be charged at school published rates. * all remaining students were foreign students, who have returned to their country of origin to work, and according to ACCSC regulations are considered as "Unavailable for Employment". ** Professional Pilot Program “H” was accredited in October 2015 when School started promotion and recruitment activities. * The Program is designed with the minimum time required by the U.S. Federal Aviation Regulations. However, the time length of a program for each individual student may differ based on their academic and physical skills. The student must demonstrate through knowledge examinations, flight examinations, and show through appropriate records that he/she meets the knowledge, skill, and experience requirements necessary on successful completion of the program. 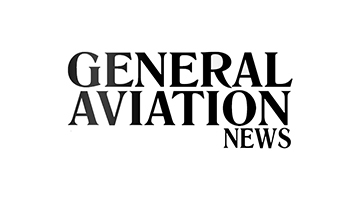 The student will be awarded a Diploma and the Federal Aviation Administration Certificates for the Private Pilot, Instrument Rating, Commercial Pilot, Basic Flight Instructor and Instrument Flight Instructor.